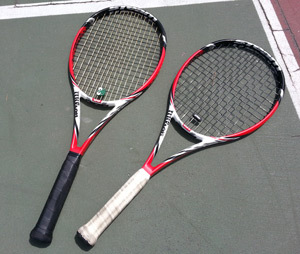 I’ve never been a huge Wilson racquet fan, but wanted to spend a couple of days with the Steam 99 and Steam 99S to see if they could change my mind. No dice! Still not the sticks for me. But I did find lots to like about the Steam 99; less so with the 99S. 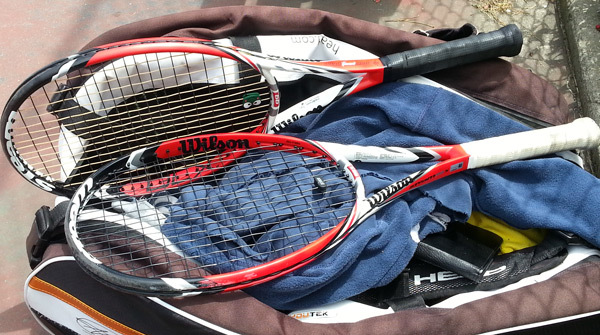 Racquets provided by City Racquet Shop of San Francisco. 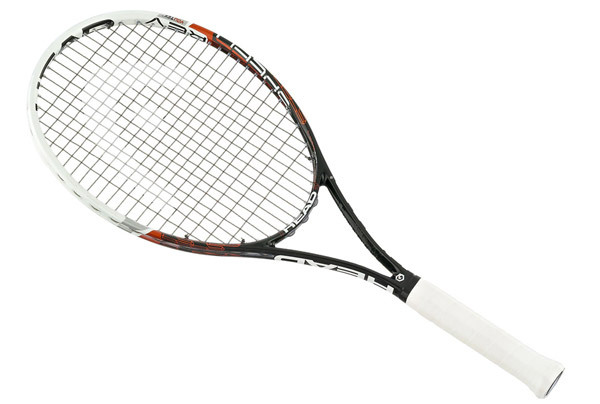 Unlike its’ counterpart the spin-oriented Steam 99S, the Steam 99 is an all-around solid racquet. Notably used by Kei Nishikori and Petra Kvitova, and immortalized in their infamous “cheating” ad campaign, the Steam 99 provides decent spin and power without the loss of control seen in the 99S. It’s not perfect, but there’s certainly a lot to like about this racquet. The difference between the 99 and 99S was palpable from the first ball. Though not necessarily designed for spin, the 16×18 string pattern of the Steam 99 allows for a nice combination of spin and control. It felt solid on my forehand shots, and gave me the depth and placement that was lacking in the 99S. I could have used more spin in general, but was very pleased that I could go for my shots with a lot less worry about missing than with the 99S. 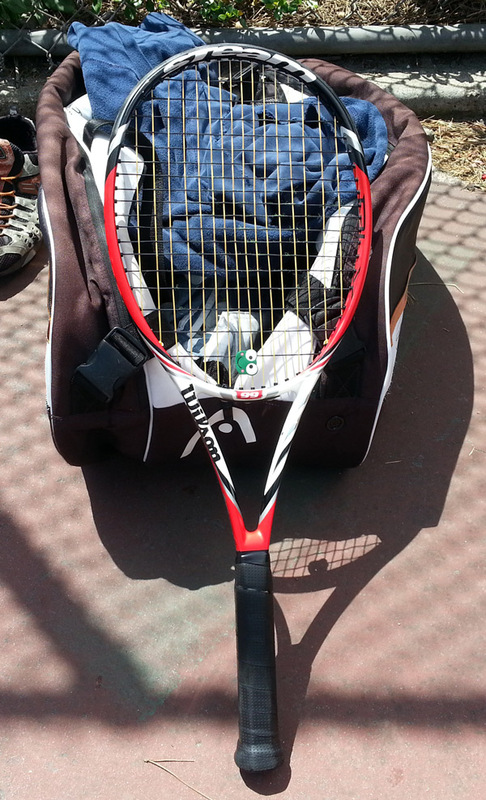 My backhand didn’t feel quite as solid because this racquet is slightly lighter than my current stick. 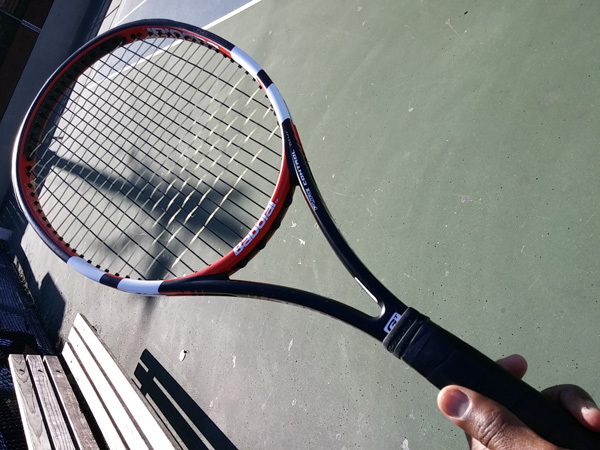 Lighter racquets generally cause me to swing too fast and mistime my shots, and that was pretty much the struggle with the 99. Fortunately, I was able to work it out after a bit and even managed some winning serve returns. 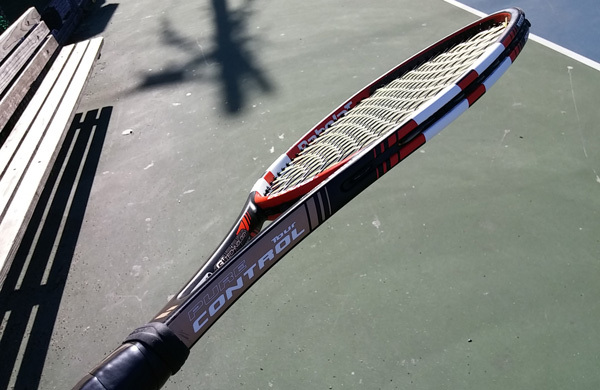 The only real issue I had with this racquet was an inability to hit aggressive forehand service returns. That may not seem like much, but it’s one of my biggest weapons. I struggled to keep shots from flying long with the Steam 99, and also felt an uncomfortable amount of vibration. I figured it out eventually, but still not at the level to which I’m accustomed. 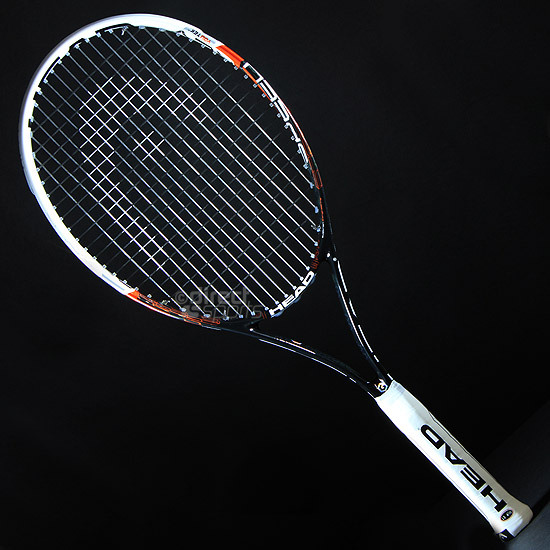 Players with flatter shots will likely see more benefit from this racquet in their ground game. But aggressive forehand returns notwithstanding, it’s still a decent stick from the baseline. 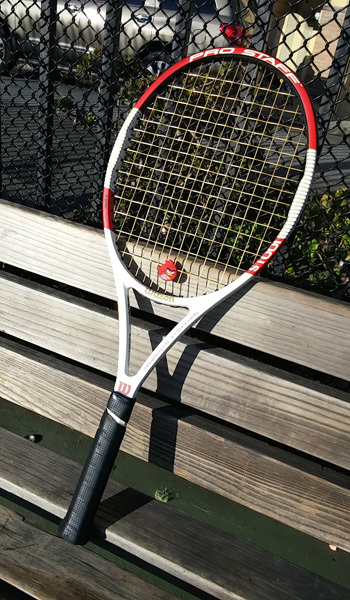 This racquet excelled from the service line, allowing me to easily hit slices out wide (both ad and deuce court), flat shots up the T, and strong body serves. In fact, the second doubles set that I played was ended with an ace down the T on match point. Not too shabby! The only problem with this racquet on my serves came when I tried to inject pace. The struggles began, and all of my earlier control suddenly went flying out the window. Even after about 30 minutes of work, I never figured out how to hit my biggest serves. But that’s okay. My biggest weren’t needed to still have a positive impact on my service game. 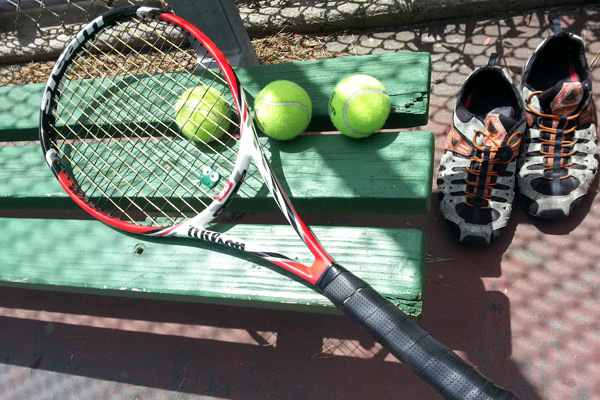 The Steam 99 gave me decent control on my volleys, and a surprising amount of feel. Even though I don’t have the greatest hands, I still managed to pull off some nice touch volleys. Open string patterns usually make it tough to keep volleys from popping up, but not the Steam. Volleys stayed nice and low. And any racquet that doesn’t hurt my cause at the net is alright by me! 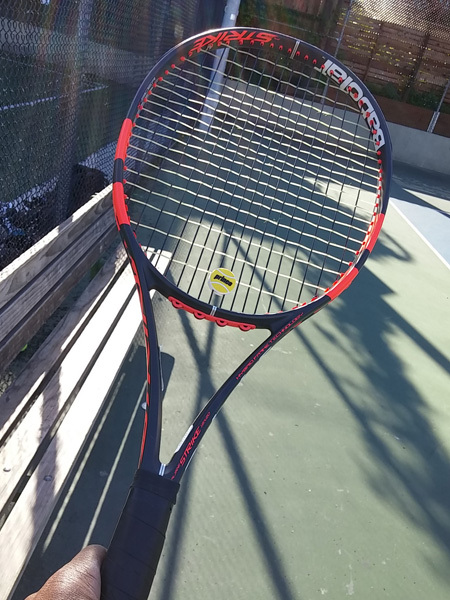 Though I probably wouldn’t buy this racquet, I still felt strongly enough about its’ performance that I would recommend it to someone who’s interested in decent spin and control WITH accuracy. It would be great if the Steam 99 took more of my natural spin. It’s also not as versatile of a stick as my current racquet, and is also a little light for my tastes. It didn’t give me quite the solid feel I would have liked, especially on my weaker backhand side. 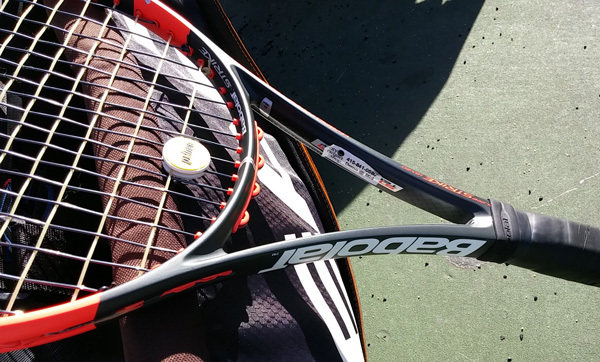 Seemingly small items such as that are important to note when trying out a new racquet. 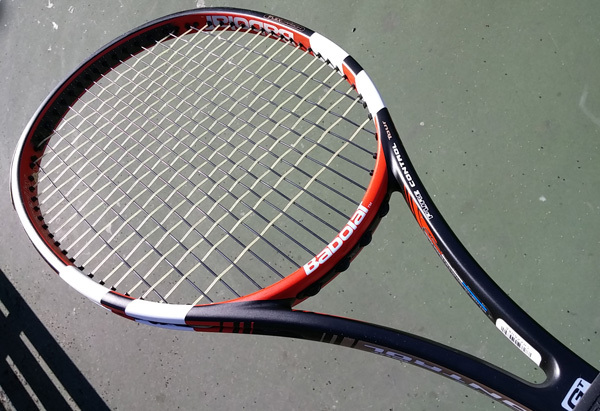 It’s easy to get excited about a racquet that plays to our strengths. However, it’s much better to be excited about a racquet that plays to our weaknesses, and helps to lift our overall game. 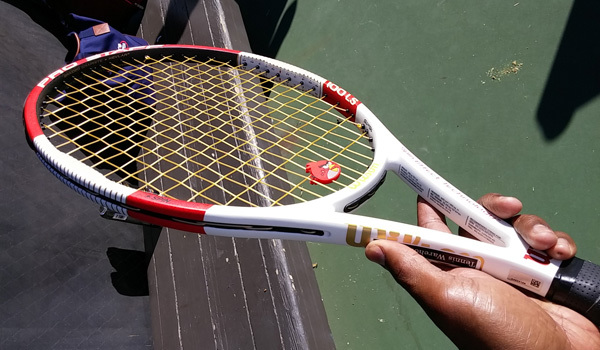 This racquet didn’t quite do that for me. 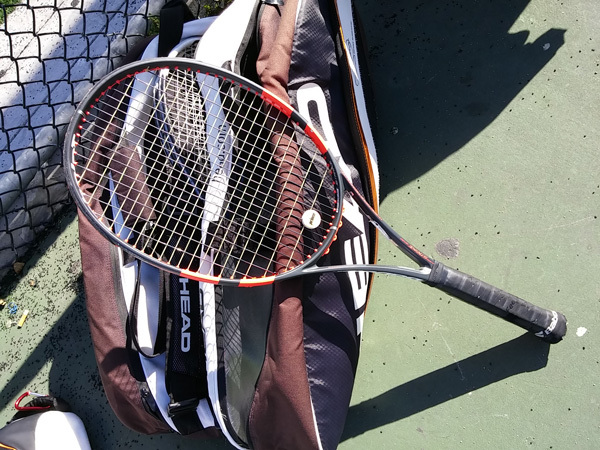 But if you’re a flat-stroke player who’s on the lookout for a racquet that can up the ante of your game in terms of spin and power, take it out for a hit and see for yourself. Head Size: 99 sq. in. / 638.71 sq. cm.